Sock season is upon us, and as the cold weather creeps in, you’re probably starting to think about keeping your toes warm and cozy. 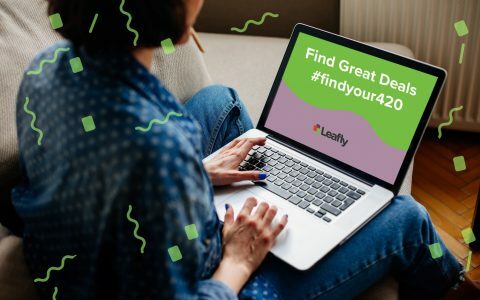 You’re in luck: There’s a whole world full of fun, unique, and funny cannabis-themed socks for any style and taste. 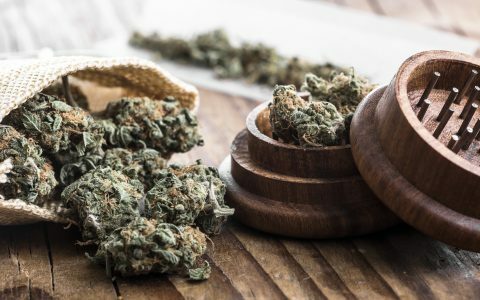 Below, find something to love on this list of the 13 coolest cannabis socks on the market. 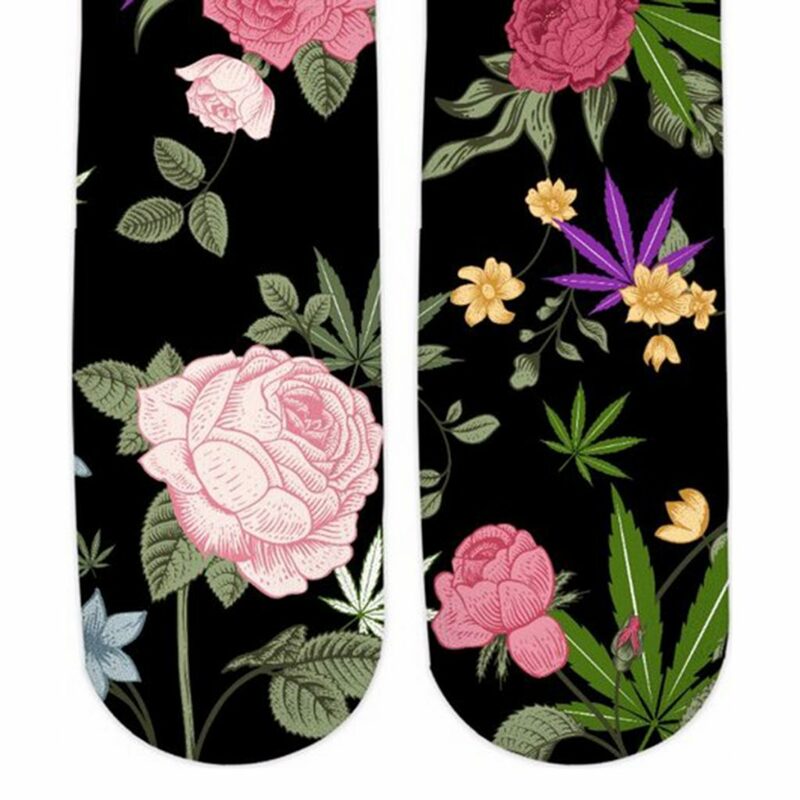 For those who enjoy the beauty of realistic cannabis leaves, these knee-high socks display the whole plant with lovely artistic flare. 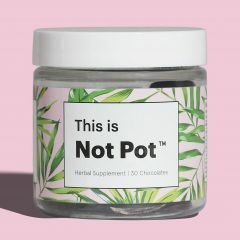 Pay homage to the OG cannabinoid—THC—with socks that combine an appreciation of science with a taste for cannabis. 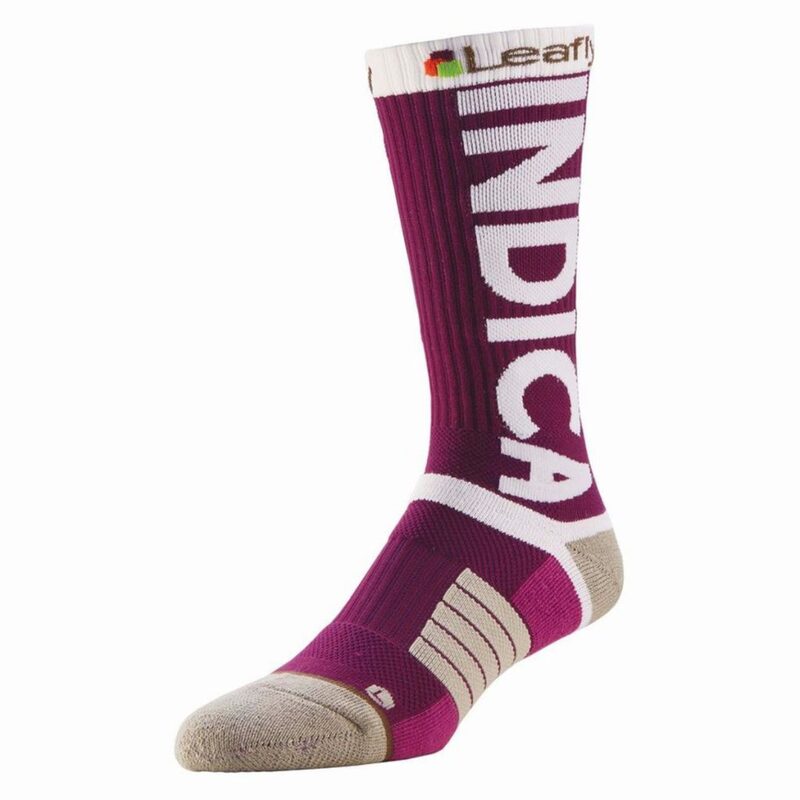 Show off your favorite cannabis strain type with these warm athletic socks in indica purple. 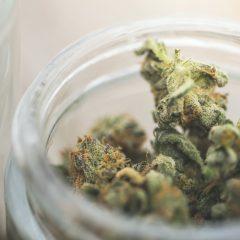 For those who prefer the buzzier strains, check out the sativa and hybrid options, too (or get all three—because come on, they’re all pretty great). 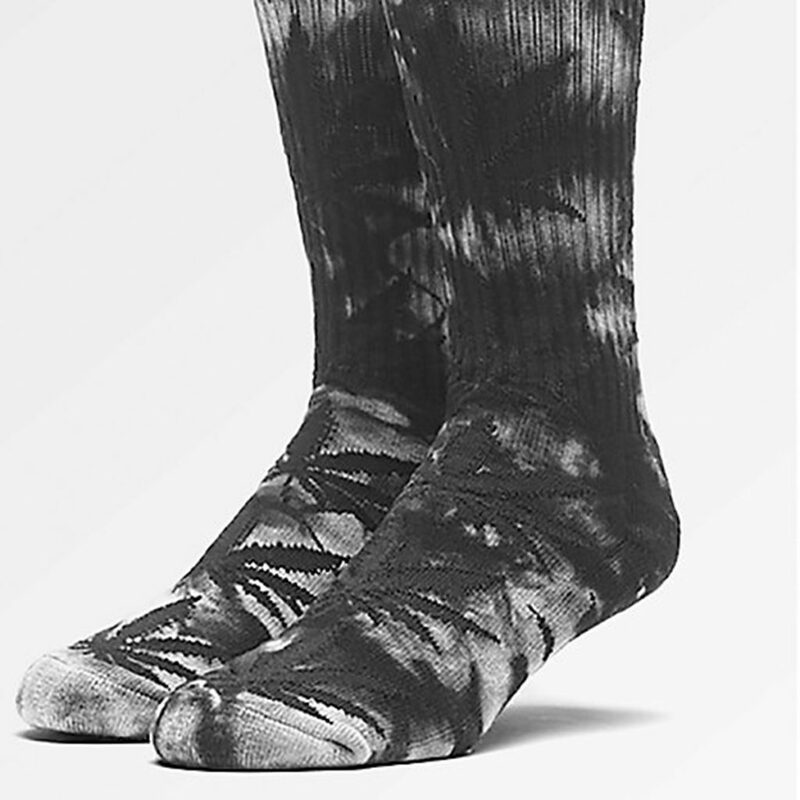 These black and white tie-dye cannabis socks are perfect for a subtler, under-the-radar look. 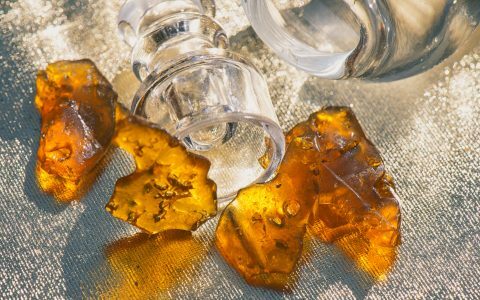 Oil lovers rejoice—these vibrant and playful shatter socks look as though you’ve dipped your feet right in clear, concentrated goodness. Blue and dreamy, these socks rep the massively popular Blue Dream strain. 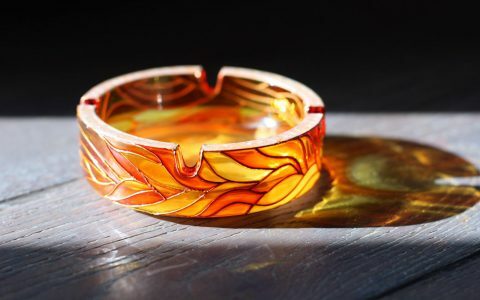 Keep your eyes out for this eclectic pair; they’re coming soon. 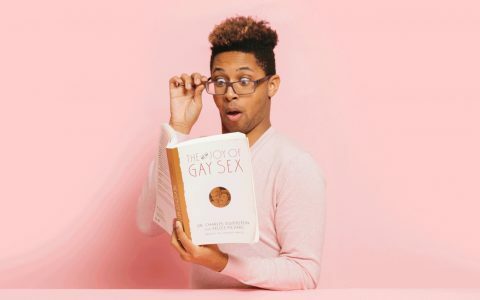 Who says the office has to be so straight-laced? 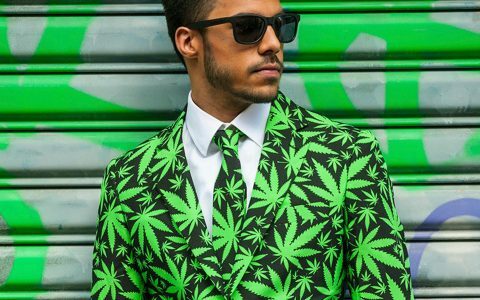 In a lively cannabis print, bright green leaves pop against deep violet on these deluxe dress socks. 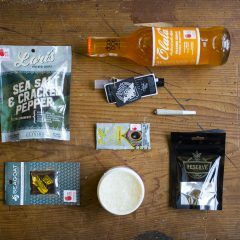 Celebrate your favorite holiday all year long with these lively yuletide cannabis socks. 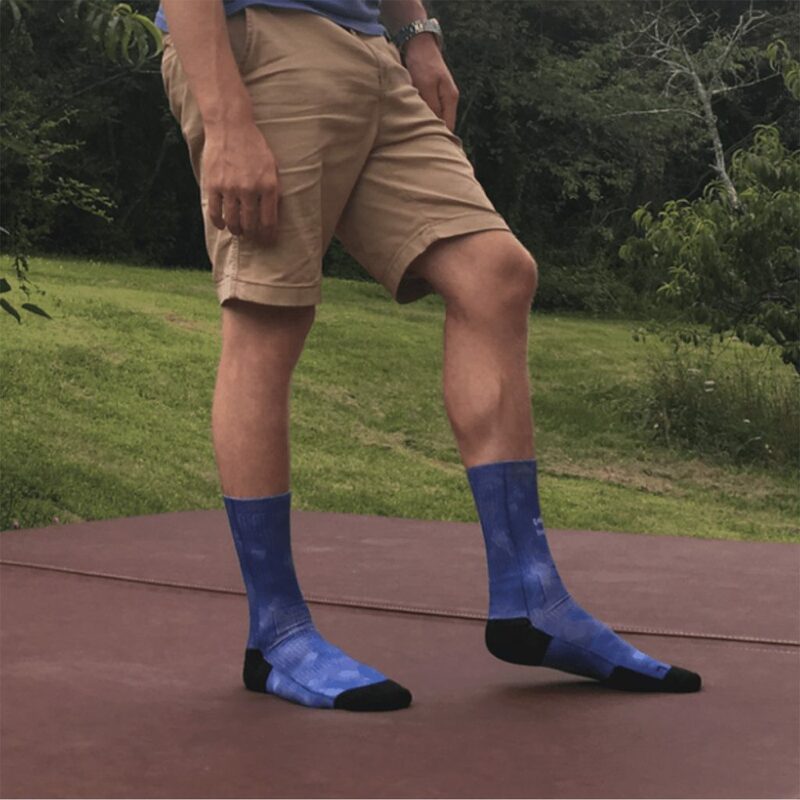 Made with 45% hemp, these mid-calf socks are as comfy as they are sustainable. 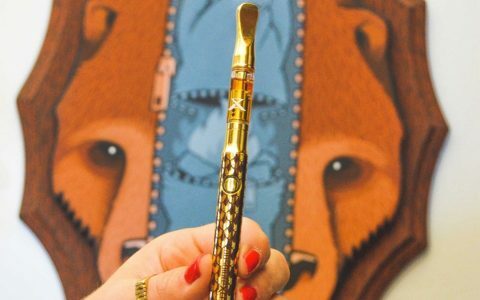 Choose tan, black, or both with this classic cannabis-themed pair. 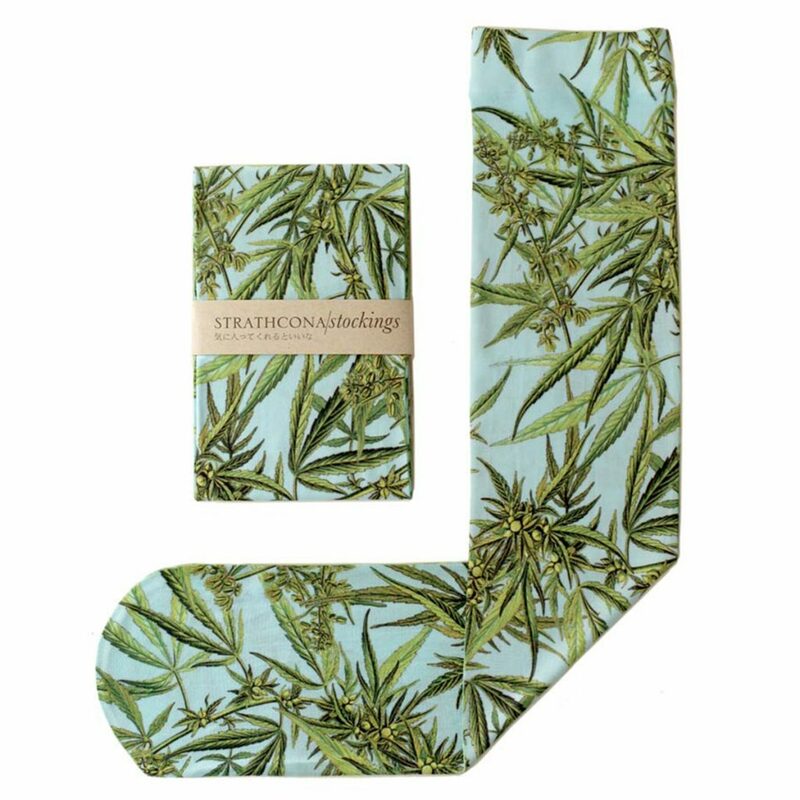 A medley of cannabis leaves in various shades of green covers these socks from toe to knee with a design that offers depth and intrigue in a single unique pair. Check out the pink version for a more vivid look. 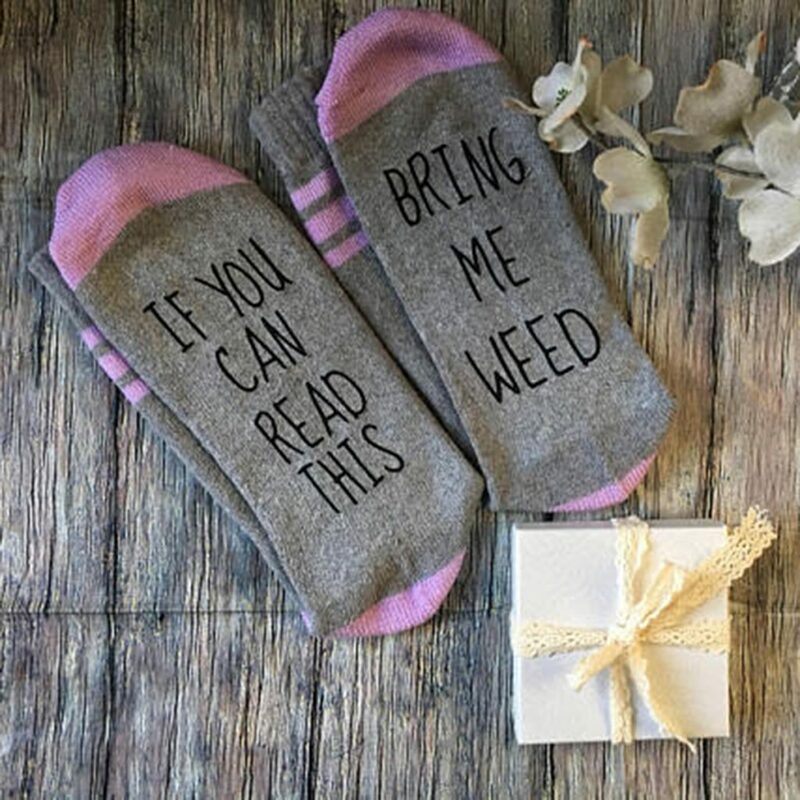 Hilarious yet oh-so-practical, these seemingly innocuous socks have a hidden phrase on the bottom of each sole: If You Can Read This, Bring Me Weed. Done and done. 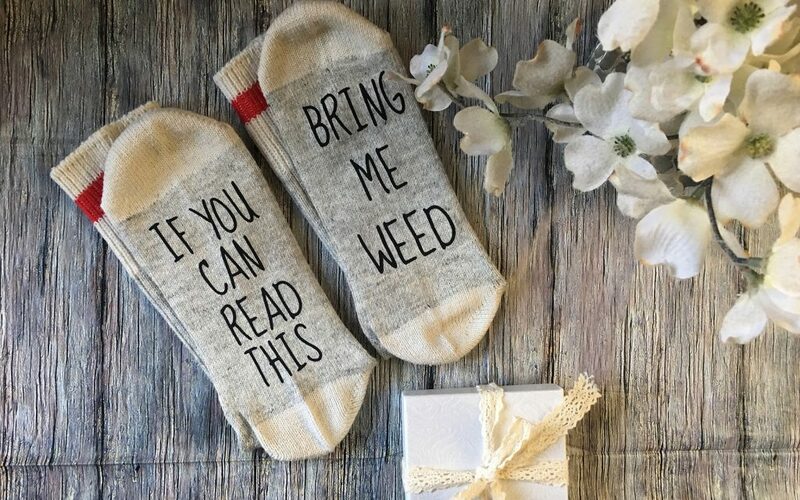 These cozy, knee-high cannabis leaf socks make the perfect accessory to go with a long, snuggly sweater and a freshly packed bong.